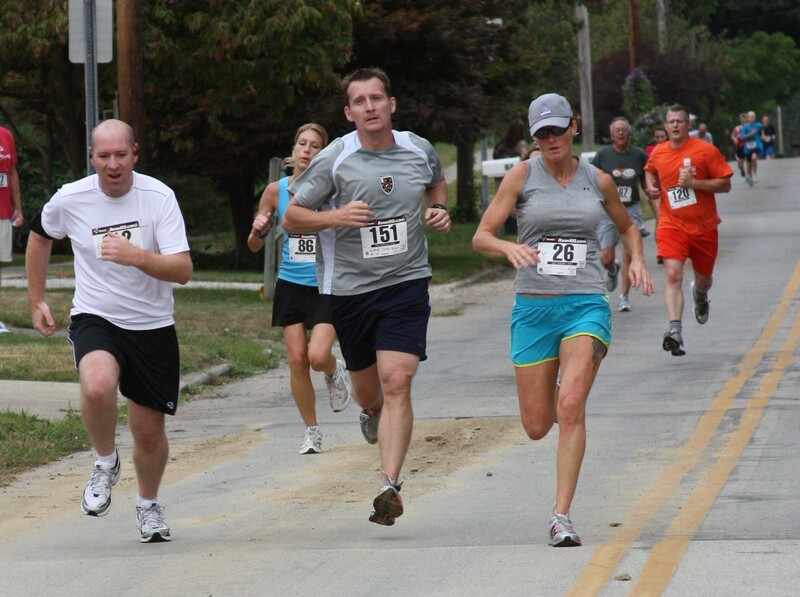 Run For The Trails is a 501(c)3 dedicated to the promotion of parks and hike and bike trails. 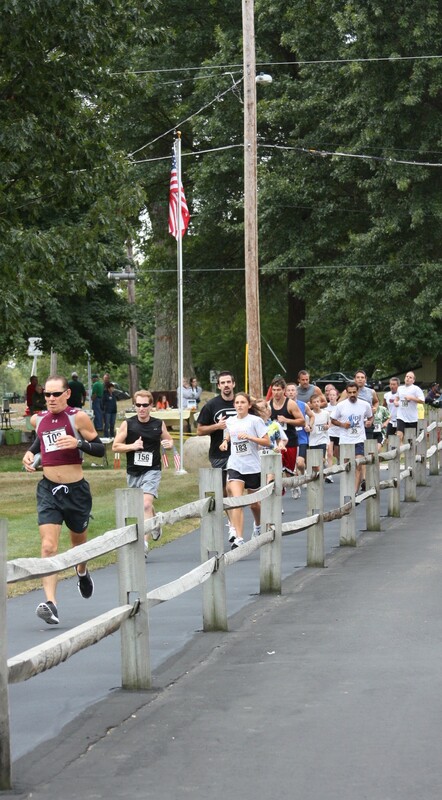 Thanks to all who participated in the 10th aniversary of Run For The Trails. We hope you had fun and reached some personal goals. We had a great time putting on the race/walk. Please see the 2010 race photos taken by Erik Kauffman. 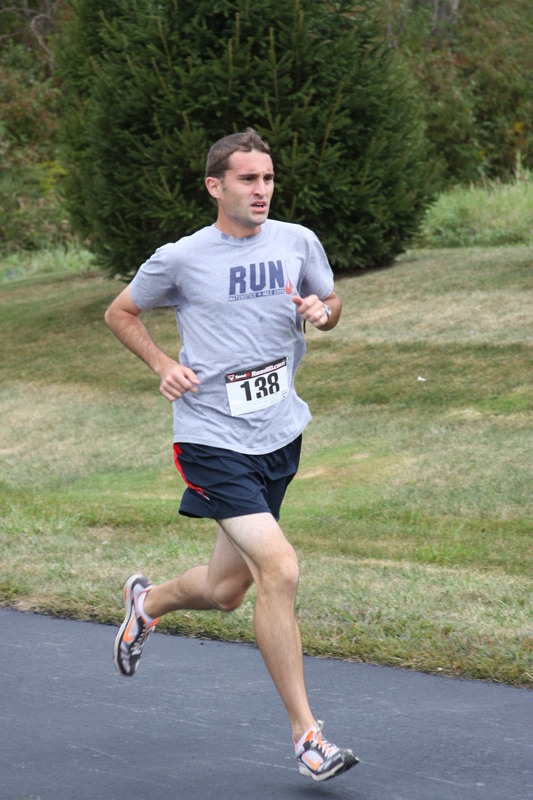 Overall men's winner Ryan Collins displays his form. The pack heads singlefile onto the trail. It is a tight race to the finish line for these three. Kim Jendre looks comfortable on her way to winning the overall womens title. Men's overall winner Ryan Collins watches in the background. 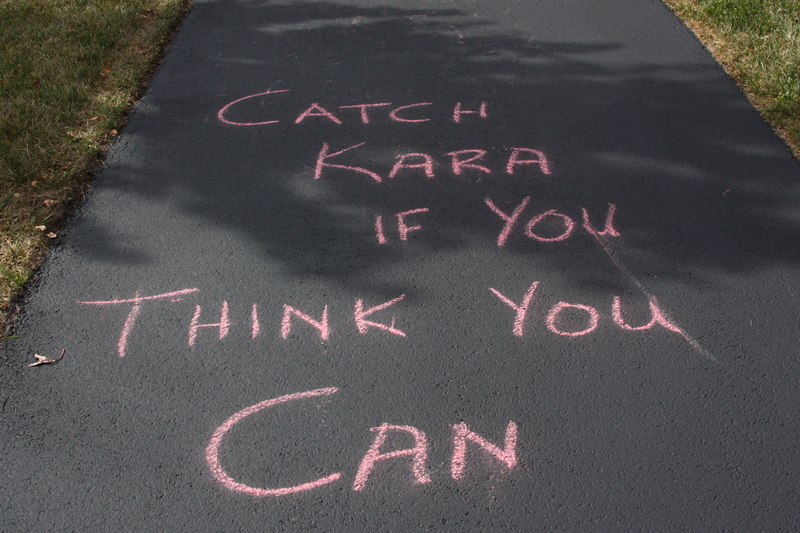 I wonder if this chalk message on the trail motivated Kara's age group competitors? fun race. this was my third year and probably the best. Was able to see alot of friends from Medina and get in a quality run with a great group of people. Thanks! 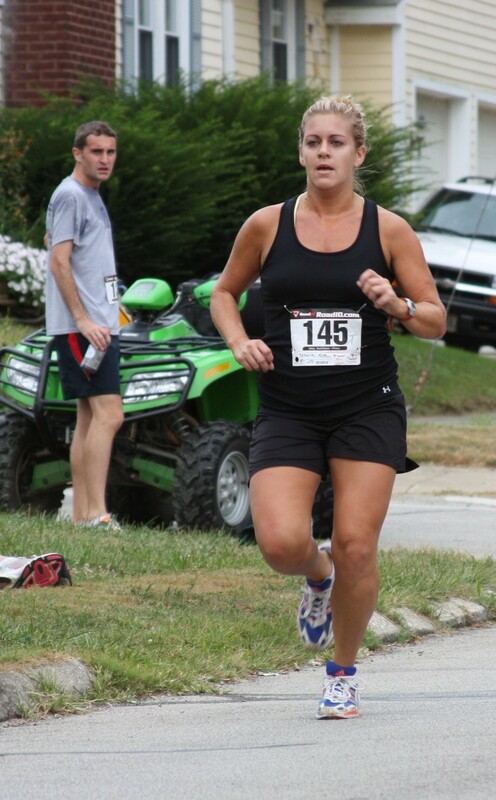 As always the Run For The Trails 5K in Seville was GREAT ! One of the best organized races I run the entire year, a real first class race and wonderful post-run homemade cookies…nearly 20 kinds to pick from & we all loved the notes and names on the pavement ! Thanks again to all ! Action Flexo Graphics Co., Inc.
ETE Htg. & A/C, Inc.